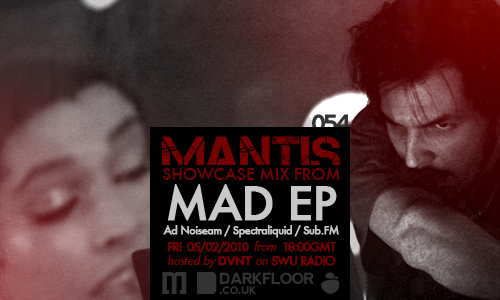 On the showcase this week the beatsmith Mad EP. Host DVNT plays tracks from Funk Gadget, Logical Disorder, RAM Records, Emptyset, Dead Weather, Mosca and Hurtdeer. 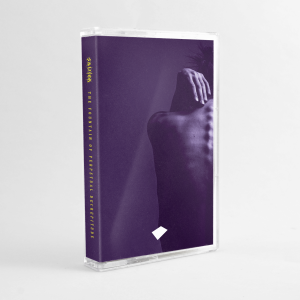 Mad EP is Matthew Peters, Iowa native (formerly based in New York, Chicago + Montreal) and recent UK transplant, with a vast and impressive background in electronic and classical music. Peters brings his talents to bear on Mad EP productions in such a way that the end results are diverse and unclassifiable, calmly defying expectations as he skims through every imaginable genre to reach the outer limits of a territory that is indisputably his own. Peters has been making his own music, variously described as electronic, alternative hip-hop, breakbeat, avant jazz, classical, sample-mania, and consistently unpredictable, for the past ten years in various contexts. His performances have been experienced in clubs, squats, restaurants, art galleries, concert halls, roof tops, radio studios, theatres, and festivals all over North America and Europe. He has also joined the Sub.FM ranks, and has a monthly slot – Tasty Cyanide Radio – which goes beyond dubstep & garage and features all bass-centric music. In under a year, his playlists have been hailed as uniquely creative and innovative, and have a cult following to match. Peters is also the consummate collaborative musician. His releases are full of guest appearances by artists with a deep respect his unparalleled musicality: Shadow Huntaz, Puppetmastaz, Jason Forrest (aka Donna Summer), Math Head, Si Begg, Aaron Spectre, Mochipet, End, DJ Grandtheft, jazz trumpeter David Young, percussionist Bryce Beverlin II, and more. Venetian Snares + Leafcutter John both requested him to appear as a cellist on their albums and Peters is often in demand as a remixer, delivering unexpected, yet mind-blowing results.